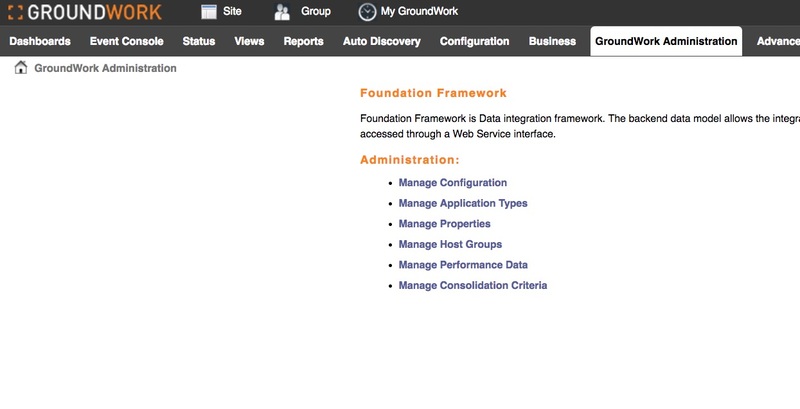 You need to generate service groups in the Foundation database so that they show up in the UI. You have a lot of hosts and services, so using the UI to create these servicegroups is time consuming and tedious. You have changes to the hosts-service combinations that you want represented in the service groups, and these happen regularly enough that it is desirable to automate the service group creation. This script will make it possible to create service groups automatically on the commit of the configuration, using data from the existing hosts and services. While you can run this script at the command line and so integrate it into your existing provisioning systems, we have included an example of calling it from the commit process using the MonarchCallOut.pm integration module. The script itself is heavily modular and commented, making it an ideal example for extending to other, similar functions as needed. We welcome your contributions in this regard, as always, and your suggestions for improvement and more use cases. in a directory on the GroundWork server where they can be accessed by the nagios user, e.g. /usr/local/groundwork/scripts. This directory is where it is set up to go, so if you use something else, you will need to change the paths in the config files. You can put agent_id in there too, if you like. You only need to run it once, usually, as part of setup. Do the same for the agent_id script. Use the agent_id script to generate a unique id for the creation (and deletion) of the servicegroups you make using this script. You can use any string, as long as it is unique, but this makes a nice example. Next, decide what the membership of the service group will be. You can have multiple services in one group or just one. If you are making use of service instances, you can choose to use the base name of the service or the suffix, depending on what you want. If you use the base name, all instances will be included. If you use the suffix, all services with that suffix will be included. You make these choices by editing the file /usr/local/groundwork/sg_autocreate_servicegroups.conf. There are examples in the file for you to work from. service_group_description = "App checks on all servers"
service_group_description = "interface checks on all systems"
service_group_description = "All the MyApp checks"
the restrictions on service group names apply. No spaces are allowed. (date stamp) Service group auto-creation script (version 1.0.0) is starting up. NOTICE:  Processing 1 <service> element and 1 <service_instance> element representing servicegroups. NOTICE:  Processed 2 configured servicegroups. Then check the Status view for your new service groups. They will be there within a few seconds. If you want to remove any of the groups you create in this way, just comment them out of the /usr/local/groundwork/sg_autocreate_servicegroups.conf file. They will be removed the next time you run the script. 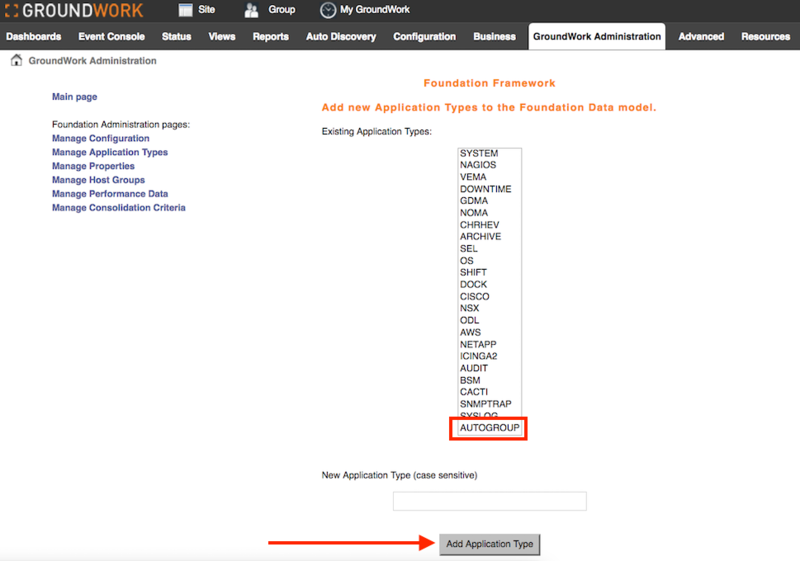 The agent ID and application type are associated with these groups in the database. If you overwrite these values in the config file, removing the groups with the script will no longer work, and you would need to remove them by modifying the database directly. Now whenever you run a commit, you will see the output from the script at the end. This will add some processing time. Depending on the size of your deployment, you may or may not want to do it this way. We hope you find this useful and informative. Thanks for reading!